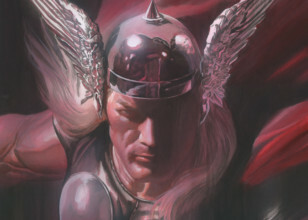 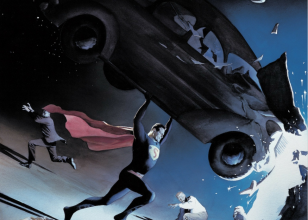 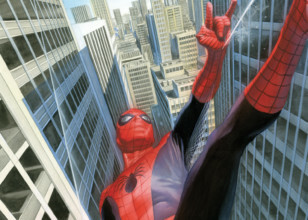 Created by Alex Ross as a comic book cover for Captain America 250, this image is part of a series of more minimalist renderings of Super Heroes. 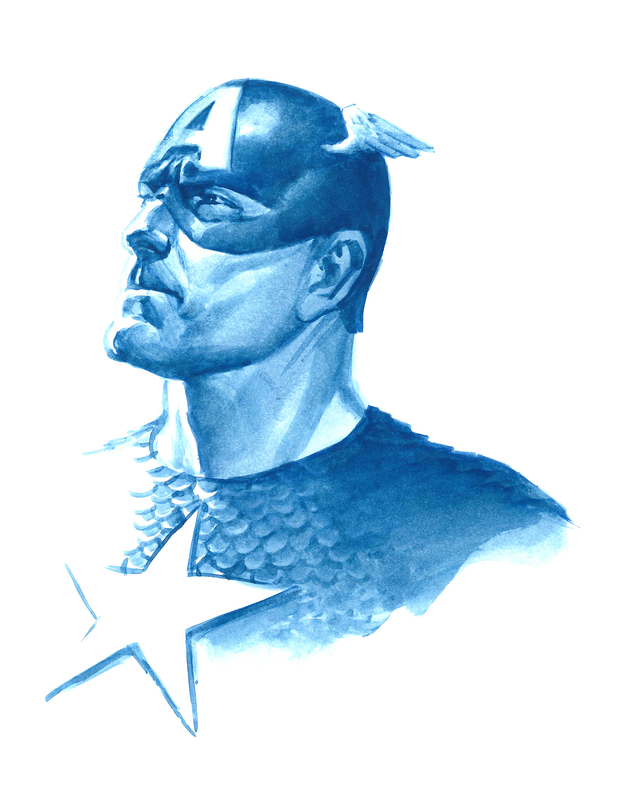 Captured in shades of blue, Ross reveals the very nature of Captain America in a single valiant expression; loyal, faithful, courageous, patriotic, fearless, honorable, and steadfast in his allegiance to his country. 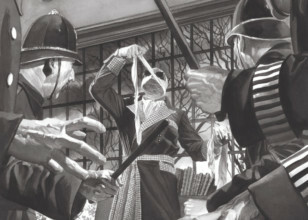 Allegiance is signed by Alex Ross and is elegantly presented with hand-deckled edges creating the ultimate presentation.